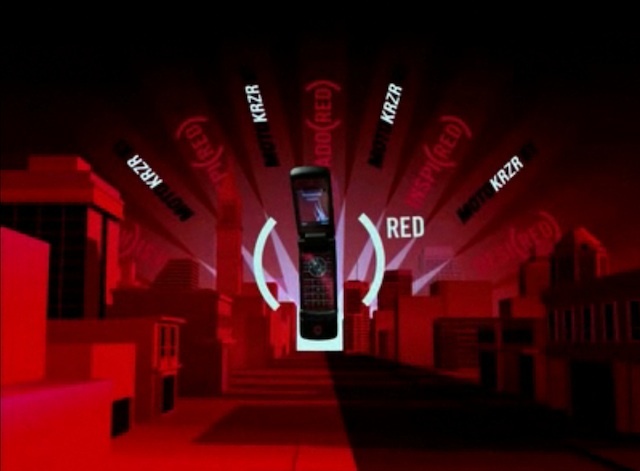 Motorola, the foremost provider of innovative mobile handsets and accessories, required an exceptionally stunning hot new national TV spot for it’s Red Phone KRZR mobile phone. Product Red is a global campaign designed to eliminate AIDS in Africa and Motorola is a proud partner. In order to ensure a high recall rate, an urban and catchy, high impact spot was needed to garner attention and build on Motorola’s hip, unconventional, edgy brand. The spot needed to focus on the message that Product Red was a revolutionary global cause. The spot was divided into two segments during filming. Live shooting was conducted on location portraying real world activity. In studio green screen was used to feature product close ups as captured in the virtual Revolution World. CGI was used to develop the stunning detail of the cityscape and movement of the Moto Revolution world with the beat of the music. Hand models were employed to display the product, then duplicated to create the revolution effect. Following its airing, research reveled a very high level of brand recall. Moto Red brought the kind of brand and product recognition needed to highlight the global red initiative.